With the quality (or lack thereof) of the 2018 Green Bay Packers, it is hard to keep up to date on the team with how they have been doing. While they have limped to a 4-5-1 record, the team has had many aspects that have contributed to the downtrodden season. Mike McCarthy’s ineptitude of play calling and running a team seems to be at the forefront of cheeseheads, which is a fair place to look when wanting change. Rumors have been swirling recently that the team, barring a miraculous playoff appearance, may look to move on from McCarthy in the offseason. Outside of the potential change at the team’s helm, Aaron Rodgers’ health, inconsistent safety play and overall a team that has time and time again not taken advantage of opportunities all have plagued the franchise at some point this season. With all of these moments in mind, let’s look ahead to some topics that could dominate the offseason. Keep in mind, with how much time there still is left in the season, it is hard to predict what will occur. These topics are created from what has happened so far. As previously mentioned, McCarthy’s seat cannot be much hotter as of right now. Wasting countless years of Rodgers’ prime is a major cause that he may not return for 2019, as this may be the best opportunity for both he and the team to start fresh. Rumors of McCarthy moving onto Green Bay East, I mean Cleveland, are also very common, as the vast majority of the decision-makers in their front office have Green Bay ties. I believe that Cleveland would represent a great opportunity for McCarthy, and if he were to not be returning next year, it would provide Brian Gutekunst a chance to make his first defining non-roster move as the GM. Names such as Josh McDaniels, John DeFilippo, Dave Toub, Bruce Arians and others have begun circulating within the football community for potential candidates for Titletown. Let’s dive into each one. Josh McDaniels- While his pedigree and acumen make him immediately stand out, how he handled the debacle with taking and then backing out of becoming the Colts head coach last season scares me a bit. We all know what he is capable of, but if his ties to New England prove to be too much and throw a wrench in the process, that can set Green Bay back five years at least. He is one of my top choices for the position, even though he just re-upped with New England for five more years. John DeFilippo- After going from Cleveland (Offensive Coordinator) to Philadelphia (QB coach) and winning a ring, he was poached and moved to Minnesota to become their OC. While a move in the same division presents a very interesting storyline, it is hard to envision this happening. The Vikings would most certainly keep hold of him and not let him interview for this position as he is still under contract for one more season, as he signed a two-year deal last offseason. He is my other favorite for the job, but it is highly unlikely that actually will happen due to who he currently coaches for. Dave Toub- Not a lot on Toub from me, as he currently serves as the assistant head coach and special teams coordinator in Kansas City. Being around for a long time (since 2013) for the Chiefs has afforded him time to learn both sides of the ball more, but the fact that he is a special teams coordinator does not make me as excited for him as a head coach. Bruce Arians- A wild card in this process, Arians has been out of coaching since not being brought back as the head coach in Arizona. Arians is an offensive guru and would mesh well with Rodgers. However, being out of the game, even if only for a year, can still make it difficult to catch up to current schematic elements. Don’t be surprised if he gets a few interviews this offseason. #2- Can we actually use free agency? 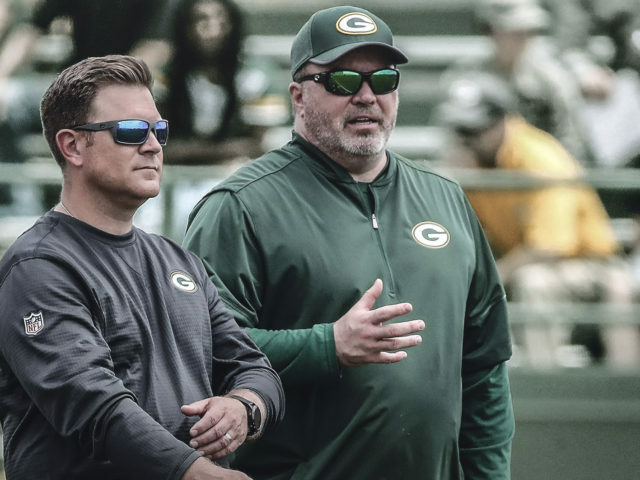 Outside of a head coach, the topic that will most likely dominate the offseason is if Green Bay will finally become big-time players in the free agency pool. As their finances currently stand, the team has $42 million in cap space to play with. While this amount should not all be used in one free agency period, if the opportunity presents itself I believe the team should go for it and use this free agency period to make a statement on how they feel about their championship window. Our spending money can easily increase if we cut higher-priced veterans, like Nick Perry or Jimmy Graham, so for this article, we will say they gain another $8 million and have a round figure of $50 million to spend. 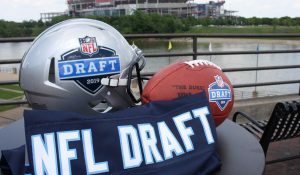 Potential players that Gutekunst and the front office should consider include Jadeveon Clowney, Earl Thomas (if healthy), Dee Ford, Landon Collins and Tyrann Mathieu, just to name a few. Below is what I believe Green Bay should offer and to whom. While this is a ton of money put towards free agents and not something I truly do see Green Bay doing, I am hoping to be proven wrong and I believe this offers a small blueprint into how the team can be improved. Questions, comments or anything you wanna talk about? Let me know in the comments below! This entry was posted in Mike Johrendt, Packers 2018-2019 Season and tagged Aaron Rodgers, Bruce Arians, Dave Toub, Green Bay Packers, John DeFilippo, Josh McDaniels, mike mccarthy. Bookmark the permalink. We are still in the playoff picture. We can talk about the off-season in the offseason. If you want to replace McCarthy, fine, but don’t make up reasons like ineptitude in play calling. The play calling is fine; it’s the execution that’s killing us. When we can sit there on our couch and predict plays half of the time, the play calling is not “fine.” Opposing defenses don’t have to think much against the Packers. Then why are we 8th in total offense?? I mean, without giving the ball to Jones enough, with an injured and struggling QB, with a bunch of rookie receivers…..we still move the ball better than most of the teams in the league. You should get off the couch and actually coach a team and then you’d realize that pretty much any play works if it’s executed properly. At this level, it’s not about tricking anybody. Then why have a coach? I think it’s a blend of both. McCarthy has made major blunders, and so has Rodgers. And others have let us down as well, particularly on special teams. 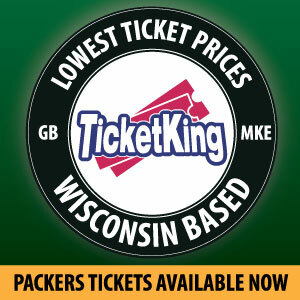 But there is a reason many of us pleaded for McCarthy to be fired this past off-season. His player decisions, play-calling, squandering of timeouts (also blame Rodgers), retaining of bad coaches, and terrible lack of motivational skills have devastated this team for years. Only an immortal QB and weak division have kept him afloat. I disagree about this team still being in the playoff chase. I said this past off-season that we weren’t a contender and should immediately accelerate our rebuild by shedding certain contracts. Unfortunately we failed to do what was needed. Our one area of agreement is that some of McCarthy’s play-calling has been good, with execution killing him. But he has made some big errors, too. Good article. McCarthy is toast, and McDaniels is interesting –though he brings too much drama. I’m interested in Toub, if you can learn more. I wouldn’t spend on FA next year, what with big extensions looming for our younger players. We foolishly spent money on retaining Matthews and Cobb this year, along with buying Graham and Lewis, and it has left us about $50 million poorer going forward–all for a 2018 season that was never going to be good. Terrible, terrible decisions. Thank goodness we at least showed the intelligence to release Jordy–but it wasn’t nearly enough. I’d like to cut Perry, but I see too much of a dead money hit in 2019 if we do that. It hurts, but I’d wait a year.